Our good looking, high-performance new generation darts are the result of nearly 50 years’ experience, and more than a million barrels. They’ve been tested where it counts, by players, refined, then tested again. Our darts are designed and manufactured at our factory in New Zealand and each dart runs a gauntlet to bear the Shot Darts name. 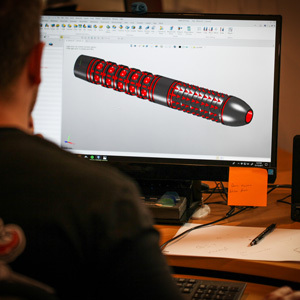 Original concepts are hand-drawn and then transferred to CAD (Computer Aided Design) software. 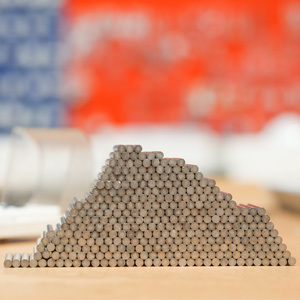 The software identifies the cuts and grooves to be applied to the dart and determines the weight, balance point, length and tungsten percentage. Tungsten is used in darts production because of its high weight to volume ratio. It resists wear and allows barrels to be slimmer, for tighter groupings, while maintaining the weight of the dart. It has the highest melting point of all metals, is more resistant to fracturing than diamond and much harder than steel. It is often sintered together with other metals, such as iron and nickel but, simply put, the higher the percentage of tungsten, the better the dart. Each dart starts in tungsten billet form, before being threaded and drilled, to ensure it’s the right length and weight. It’s then put through a CNC machine to profile cut the body. This can take up to 10 minutes for a more complicated, higher end barrel - or half an hour per set.From here, the barrel might be coated in either titanium nitrate or Shot’s own PCT coating, which determines its colour, re-machined for additional profiling, and then laser etched before being pointed and packed. 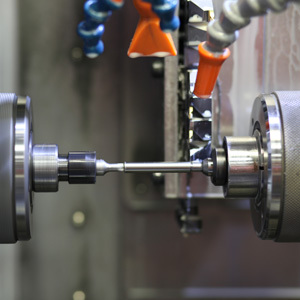 Some of our more complex darts might go through eight or nine different processes! 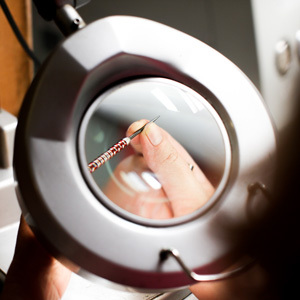 Given our attention to quality and detail, it’s unsurprising our company stands behind every tungsten dart. All of our 90% tungsten darts have been Match Weighted +/- 0.05 gm! This represents the last quality control check before they end up in the hands of players.The barrels are match-weighted and grouped, by hand. A small hand-written note identifying the set weight is included in each dart pack, along with details on how to activate your dart set.